iZombie The Complete Third Season Heads Home With Extra Brains - Are You Screening? 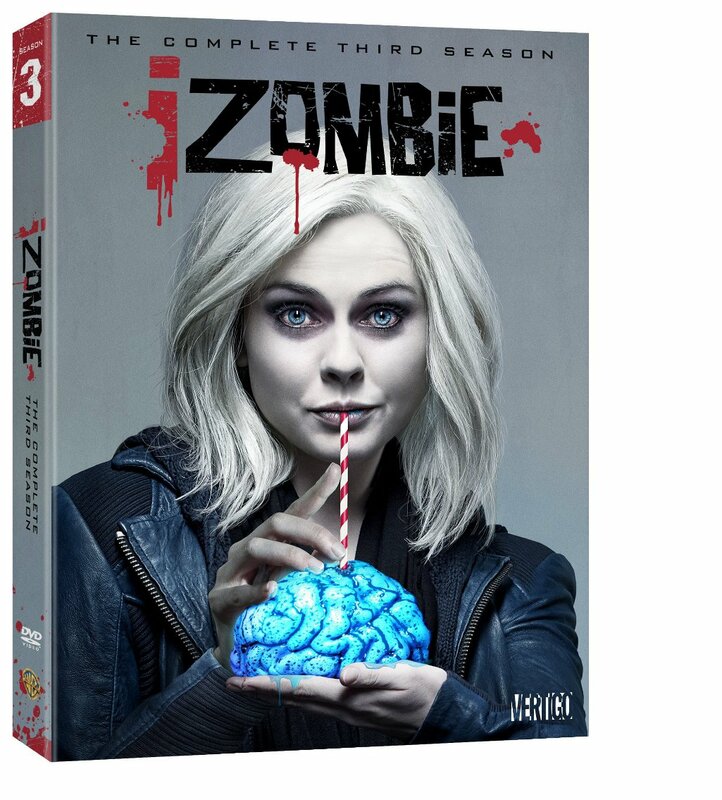 Warner Bros. Home Entertainment and Warner Archive Collection are bringing the magic of iZombie‘s Third Season home on Blu-Ray and DVD on October 3rd, 2017. All 13 Episodes are here, along with the 2016 Comic-Con Panel and some never-before-seen deleted scenes. The CW hit still isn’t getting the attention it deserves, and that’s becoming even more infuriating for the show’s 2 million plus weekly viewers, because it’s getting even better every season. Not only is it diving into its characters and exploring a wide variety of themes, but it turns its own characters upside-down every once in a while, and Blaine’s season three spin is just the most glaring example. You might have hoped for a bit more in the special feature department, but at least you are getting a few treats. The CW‘s hit series, stars Rose McIver, Malcolm Goodwin, Rahul Kohli, Robert Buckley, David Anders, and Aly Michalka.